I haven’t got much time to explore my new camera, but here are two good images from first few images i’ve taken. 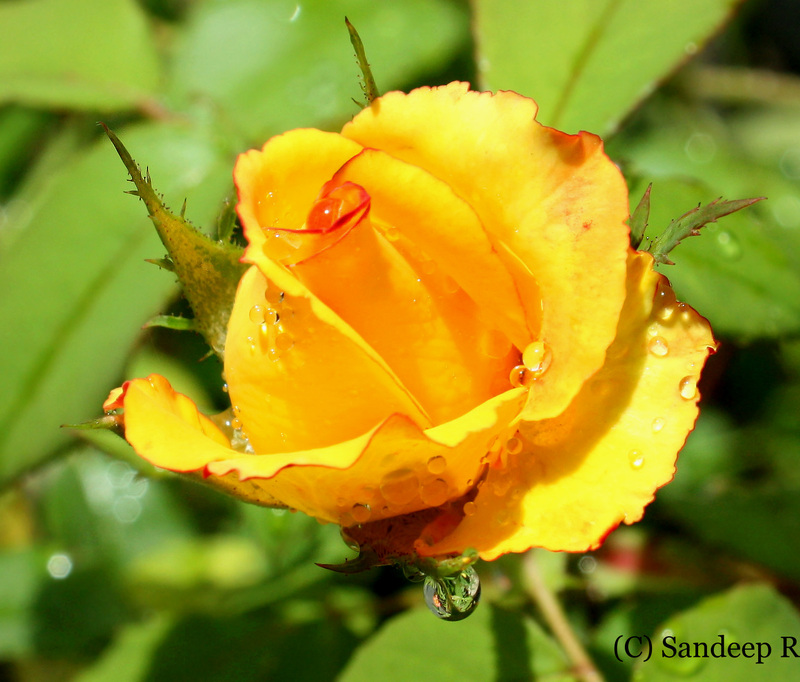 I’m still learning to use the camera and hope to click better images to showcase. Comments on the snaps are welcome. Finally… Ya, Finally i’ve got my first DSLR, and it also happens to be my first digital camera. I was about 4 years old when i got my first camera, it was a point and shoot 35mm film roll camera. I was super excited about getting that camera back then as i had got it after a long wait. Using the lenses was exciting for me whenever i laid my hands on an old Nikon SLR film camera. 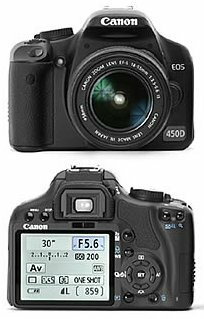 I was never very fascinated to buy a mediocre digital camera, and was willing to wait until i make enough money to buy a DSLR. 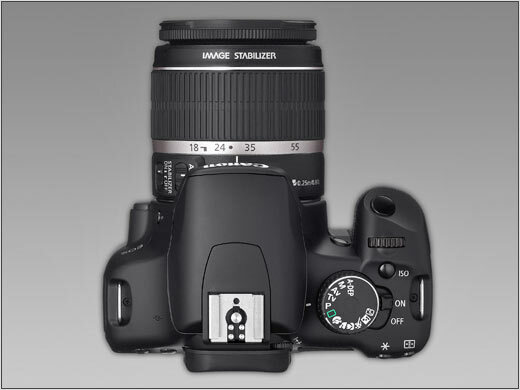 Last year i started contemplating about buying my first DSLR. First it was the dilemma between Nikon and Canon. Then the model, lenses and finally the most important factor, money. I went through all the reviews, specifications, user feedbacks, and constantly changing prices in Amazon. Soon discovered that US1Photo gives the cheapest price for cameras. I almost got it last month from a colleague when he tripped to US, but he couldn’t get the cheapest deal available online. So i was all sad again. RJ then offered me to buy it from US1Photo and ship it all the way to India but that option also went void when i learned that i can’t avoid customs for shipped items, and was super frustrated. Then, i realized it was not worth waiting any longer, and decided to buy it locally. Pixetra on Cunningham road offered me a very good deal for EOS 450D kit (comes with 18-55mm IS lens) with 2GB card, carry case and a 55-250mm IS lens. The offer came after a very good negotiation from my side. Jayesh Mehta of Foto Circle in the narrowest lanes of Bangalore at Balepet couldn’t match the offer given at Pixetra on Cunningham road. So, today i finally got my first DSLR! 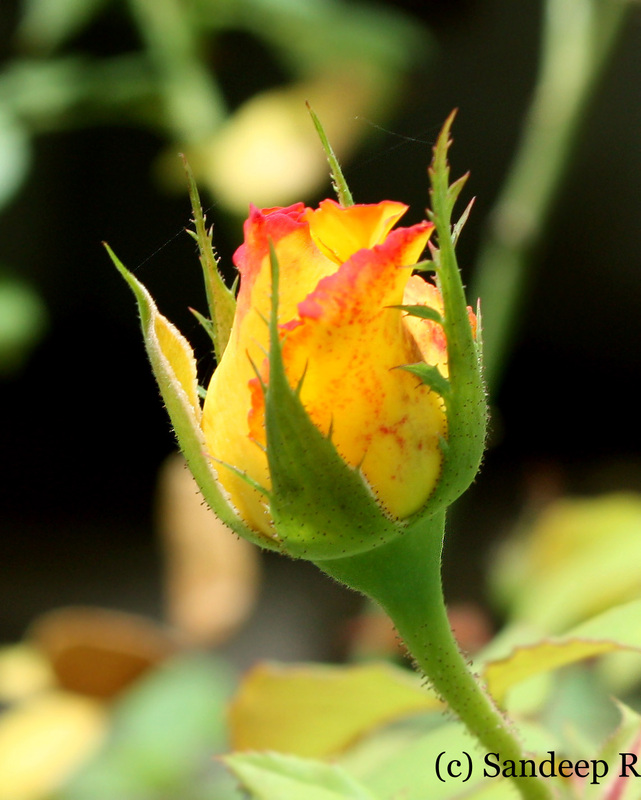 New category photography on my blog comes with this post. As i kid I was always fascinated by horses. It was so much fun to ride a horse for joy. It just used to be a small walk astride horse back then. The fascination didn’t die down as i grew up. I wanted to learn horse riding, but didn’t explore much on this any time. An old acquaintance, vet at BTC, told me about the riding schools at BTC a few years ago. I wanted to try out, like a zillion other things i had, but my mom was scared. Vet had warned about breaking few bones as normal part of learning to ride the horses. The buckling broncos could topple you down from astride any time or could give you a hard kick. But this didn’t deter me, i was determined to go. Early this year, i convinced my mom that all will be fine. BTC is a beautiful place. I had seen this a million times going past this place on race course road, the exterior walls never gave away the beautiful lush green race track or the magnificent horses plying on these tracks at over 50kmph. Getting up at 5:30am was a pain which i was willing to endure to learn horse riding. First couple of days were hard, really hard. Without proper riding boots, just on my nike, i incurred bad bruises on legs, between shin and calf muscles. I had to break for nearly a week, but i was willing to go again after wounds healed, and i got my riding boots and helmet. The weeks after that were fun as i survived the attempts by the horse to topple me down. Soon i was able to control the horse the way i wanted to go though they acted eerie and whimsical at times. After this, i saw a horse die in front of my eyes. When i reached the spot, the jockey was being taken on stretchers to the ambulance standing next to the track. A beautiful black horse was down on the outer sand track. There were many people around, and the horse ambulance arrived soon. Vet was trying to revive the horse, which had broken both of its hind limbs as it fell while running at great speed. 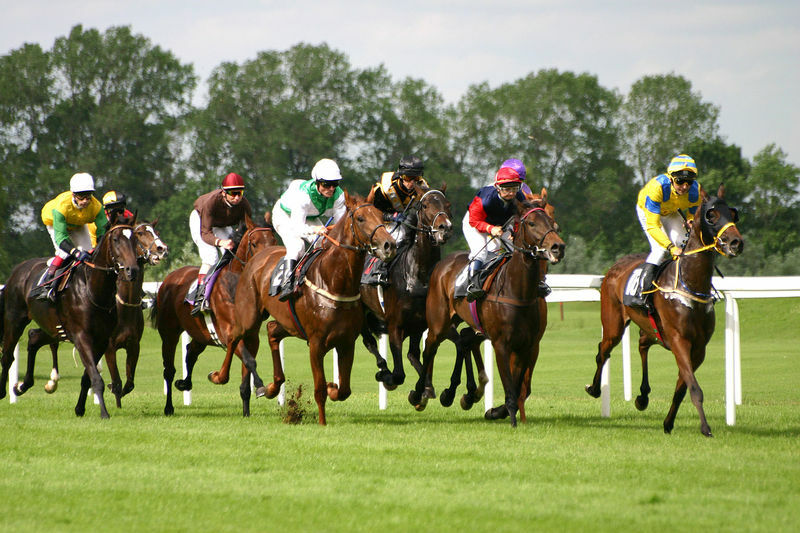 I heard from people around that the horse had put one foot on the slightly elevated grass track while running fast, had lost balance and crashed badly. The outer sand track is about a feet lower than the inner grass track, and a wrong foot on this could have been a real bad crash. The vet was trying to revive the horse with a few injections and drips but she died soon. The beautiful black horse which was galloping a few moments earlier was no more. Her trainer was almost in tears. This was my last day at BTC. 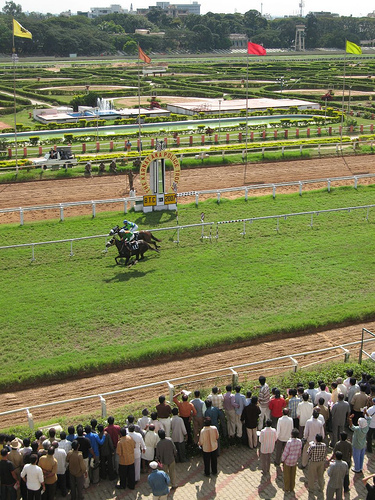 Image on left shows the tracks at BTC, the outermost track, next to audience is the track the horse was running on. I felt sad about these wonderful creatures being used for our entertainment and gambling. The recent kingfisher derby featured many celebrities, crores of rupees was bet legally and illegally. The horses here are bred and trained purely for racing. They undergo lots of training with good nutritional food daily. But i wonder if it is fair to use them for our entertainment and fun? I don’t have a definite answer. Yes it seems bad, but they are no doubt loved and cared by their trainers. They have their share of fun. But i feel they are don’t want to do as directed all the time. I saw almost everyday, at least a few, horses going crazy jumping, galloping after topping the rider, and trying to topple the rider many a times only to be controlled by the rider or the trainer with reins. I personally had experienced this. I definitely enjoyed my experience of horse riding, and would want to do it some time again, but the racing of these beauties has not appealed to me. 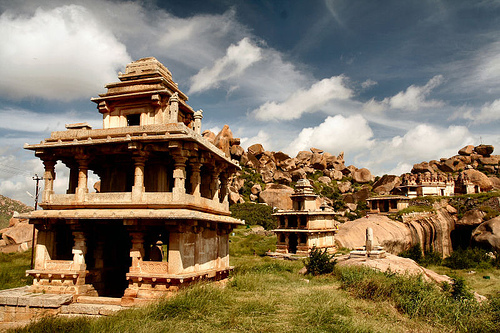 At about 200km from Bangalore, in central Karnataka, is the town and district of Chitradurga. Picturesque fort and hillocks with huge boulders adorn this small town which has grown significantly since i last visited. Friday night (or Saturday at 1:30am) i was chatting with RJ, and at 7am on Saturday morning i was on my way, on impeccable NH-4, to Chitradurga. A total change-of-plan trip. 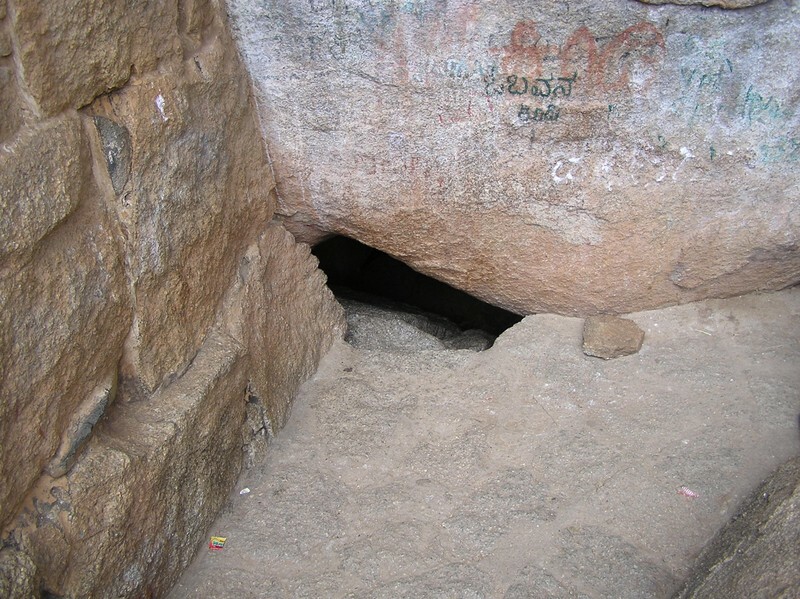 Legends has Chitradurga featured in epic Mahabharata, where a man-eating giant named Hidimbasura lived here. When the Pandavas were in this place in the course of their exile, Bhima fought Hidambasura with the huge boulders around as arsenal, and Hidambasura was slain in the duel. The marvelous fort is known as Elu sutthina kote (which means fort with seven circumambulation) as it comprises a series of seven enclosure walls. The fort, built in parts by Palegar Nayakas, Hyder Ali and Tipu Sultan, has many temples, gateways, posterior entrances, a totally ruined palace, granaries, oil pits, numerous secret entrances and water tanks. 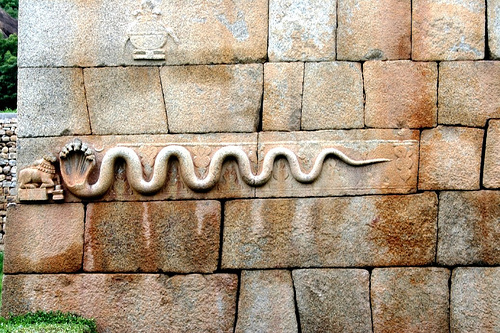 The fort has entrance through many huge stone doors, and is build like the path of a serpent, in a wavy fashion. It takes about two to three hours hike around to see all the prominent structures including the legendary Obavvana Kindi where Onake Obavva, a housewife and spouse of a sentry, single-handedly warded off attack by Hyder Ali’s men by bludgeoning them to death. The exact spot, as shown in the image beside, is a narrow entrance, where the rocks form a natural barrier making it possible for only one person to pass at a time. The fort is now protected by ASI. The fort makes a good place for rock climbing and trekking to spots like Tuppada kola, a tank used to store ghee and oil atop a huge rock. Chitradurga has few other tourist spots like Vani Vilasa sagara dam, Jogi matti zoo, and Muruga rajendra matha. Among these Chandravalli is a place definitely worth visiting. There is a nice lake and few caves here. With a guide one can go see around stone structures, and small temples in the mysterious caves at Chandravalli. With a lantern in hand the guide walks you along the rocky caves, inside which you can see carvings, rooms, bathing tanks and other structures created since 3 B.C. when Buddhist monks settled here. The caves has been built and maintained by many emperors who ruled this place. Rooms has secret hideouts, multiple entry and exits. The caves stink with bats, and is pitch dark. If one gets lost, it is almost impossible to get out alive. At certain parts in here, you cannot see people standing next to you within a feet apart if the lantern is turned off. The guide shows you only certain parts of the caves, and supposedly there is a secret pathway from this place to the fort in Bangalore (one you see near k.r.market). The secret path was built by Tipu Sultan when he ruled this place after Hyder Ali.